SG6 Construction is a widely established building contractor based in the Hertfordshire area. We designed a website to enable them to showcase a portfolio of all their clients and project work. SG6 Construction is a widely established building contractor based in the Hertfordshire area. We designed a website to enable them to showcase a portfolio of all their clients and project work. 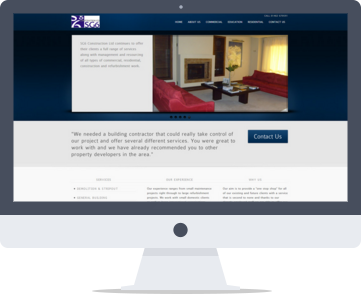 The website was designed to showcase high end contracting projects along with residential developments. The website now generates solid sales leads in the local counties and also helps to portray the company in a very professional manner.